After a short visit to Saudi Arabia, I wanted to continue my journey through the African Arabic world. I’d already been to Egypt and Libya isn’t the most inviting place at the moment, so I flew to Tunisia. On a map, squashed between Algeria and Libya, it looks like a tiny place, but only relatively. Its nearly 1 and a half times bigger than Iceland, which some may argue is a small country, but all the space in Tunisia is inhabitable and inhabited. There are internal flights to the south of Tunisia, reaching Berber country, and regular ferry boats that take you to Italy or Malta from Tunis, so you’re literally suspended between Europe and the Sahara, in a little pocket of bustling Arabic life and culture. The tourism market has crashed in Tunisia, ever since the hotel shooting of tourists in Sousse last summer. It’s affected the economy and the daily lives of people, especially those in hotels, restaurants or shops, and its heartbreaking to know that one incident can have such long term repercussions on a people open and welcome to tourism. 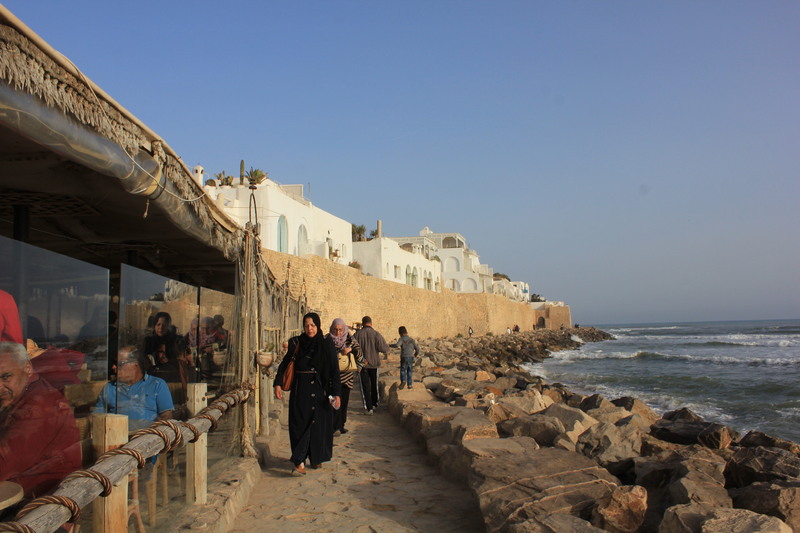 In the souk, a seller told me I was his first foreign customer since last June, and visiting the old towns of Sidi Bou Said and Hammamet and seeing only locals was a strange feeling. But I liked traveling there, and I enjoyed being the only visitor sometimes. Speaking with locals was a breeze since everyone spoke English and their Tunisian was a healthy mix of French and french-isms. 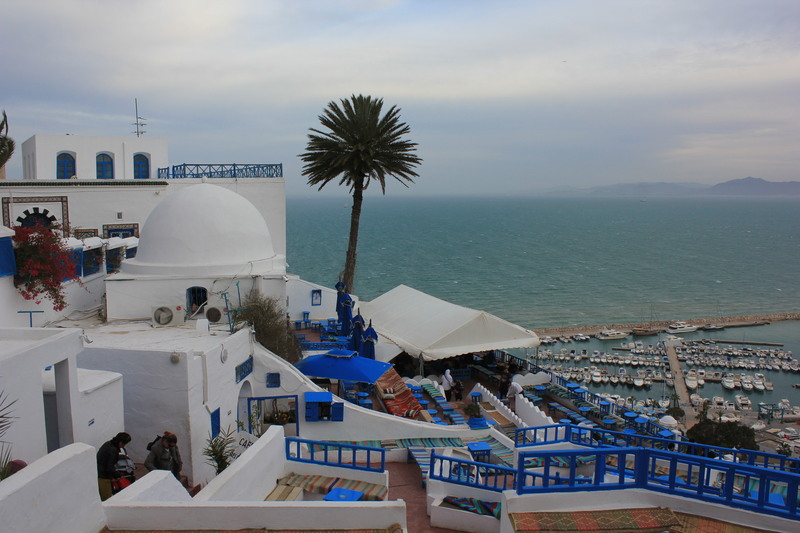 The cafe culture was just like some neighbourhoods in Paris, and Sidi Bou Said could have been a village in Santorini. 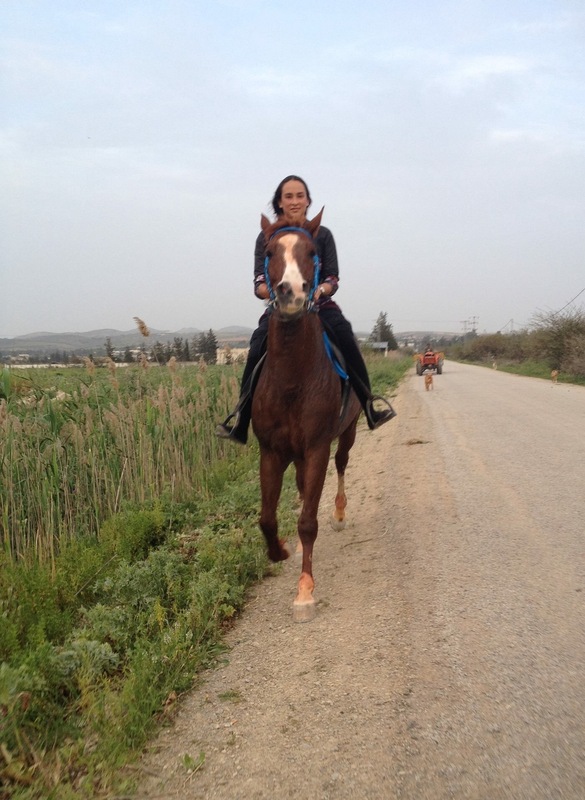 I stayed with a friend I made in Jordan, a Tunisian woman and her family. We shared a passion for tango dancing, and I also tried salsa dancing, but the social dance scene was a little different than I was used to. The tandas were followed by cortinas of belly dance songs where all the men and women got on the floor and started yelling, twisting their hands and shaking their hips. The salsa dance night was more zouk and kazumba, an awkwardly slow and grindy style that I couldn’t get into. We found horses to goppity gopp, and not just any horses. First we rode a retired show jumping horse and an endurance racer, then got an invitation back to ride his breeding stallion, a short-track champion. He gave me chills just to look at, and after managing to jump on his back his ovner asked me ‘are you sure?’ I’ll never be sure what he meant but I managed to stay on for one hell of a ride. Riding him back to his harem of mares was the only real tricky part, but he could have carried 3 of me for a whole day and night without tiring. 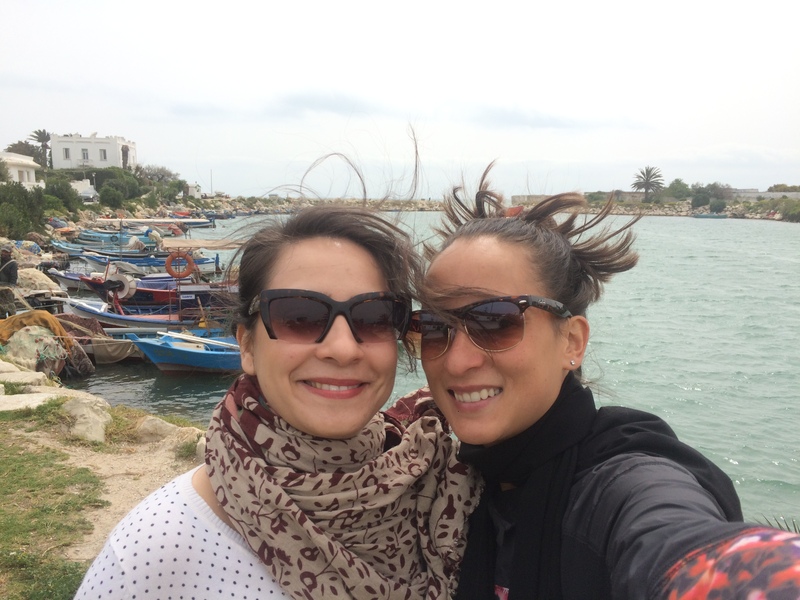 Like so many other places, I left Tunisia with a longer list of things to do and see than I accomplished during my stay. So there has to be a next time, and on the top of my list is race the Arabian, and learn how to belly dance.